Users ranked 1989 Honda Civic against other cars which they drove/owned. Each ranking was based on 9 categories. Here is the summary of top rankings. 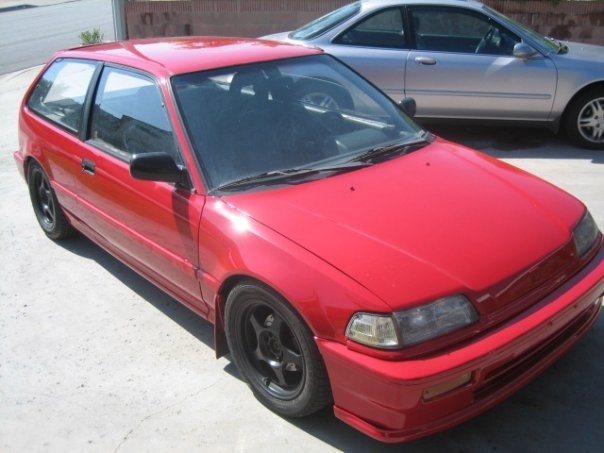 Have you driven a 1989 Honda Civic? Displaying 11 - 20 of 46 1989 Honda Civic reviews. Project Ef Sedan — stock D15B2 with multi port swap. LS throttle body and injectors. Coilovers. Full cat-back exhaust. 5speed. 88-91 Prelude Blades. Gold with red SiR pinstripe. Very fun to drive. Still does decent on gas and i do the usual maintenance on it. Nike Says, Just Do It. — this car is the complete package. its super ugly, and super fun. 4 doors. a HUGE cargo space with fold down seats makes it perfect for long trips. its so much fun to drive and is great on gas. win. Pros: mine is gettin boosted!!!! Dont Be Surprize If Im In Front Of You — I Love honda. Performance is this car is never going to die on me and i can always upgrade the motor to a faster one. Com on it runs on no oil but it could blow. The car is so light that when i see VW in the street i want to race it. Build quality depends on if u put quality parts on it. The Appearance of the car is what im working on what color scheme? so i do. It s a 4 cyls. car so its good on gas, and very easy to fix. This car is fun to drive if u like peeling and drag racing. Cons: i can die easier if i crash its so small. Cons: Watch for rust in the wheel wells.. Most remaining SI's have been riced out and beat on.. 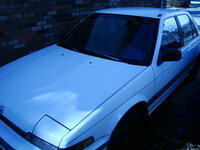 Very Clean (suprise Suprise) — Awsome reliable car, 192,000 on it. 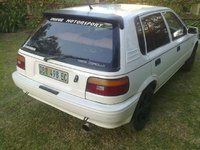 Still runs like a charm, performs good, runs good, overall quality of the car is good. Bought it for $750. Car is very fun to drive. Looking to put in a stereo system very soon. Cons: Just needs a valve cover seal and a light bulb to replace..all of like $15 bucks. Start Off Here And Be Careful You May Be Small And Fit Between Those Cars, But What If They Hit You? — This car gives a newbe the feeling of fast, but with a great feeling of control. it has handling what is unbelieveable, breaking remarkable, and acceleration which can actually make you feel like your fast.. it design is simple, and build was made to last (without an accident), it was cheap to buy, and cheap to own. over all for a 1st car it was fun as can be. Beater — they dont call it a honda for nothing... honda== hold on not done accelerating other than that the motor is really strong and you can beat them into the ground and they will run forever if you maintain them right.. 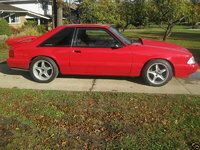 I Absolutly Loved It — it was my brothers and it had sweet acceleration and being a manual helped. i drove it round my sophmore year while my brother was in iraq but now my brother is getting rid of it cause an repair shop told him that they were affraid to lift it cause it was so rusted and that if he hits a big enough pot hole that it might split in half.